If we look only at how markets moved with the big news items, here are the prior week’s top market movers. The biggest concern this past week was whether Spain would be able to secure a bailout before it once again threatened to default and spark a new EU and global crisis. Markets fretted about Spain Monday through Wednesday, and rebounded on Thursday’s much anticipated Spanish budget release, which led investors to believe Spain will do what’s necessary to get its bailout and so at least defer a Spanish default and market crisis. However by Friday many analysts were already pointing out that the budget was based on unrealistically optimistic assumptions that Spain’s GDP will only decline by 0.5% in 2013. In other words, Spain’s budget proposal is just another deception, and if that conclusion becomes the consensus option, we’re right back where we were at the start of the week – with markets pressured by rising risk of a new EU crisis (again, probably unavoidable as it’s a prerequisite needed to force a deal). Thus we expect to see more pain from Spain in the weeks ahead until we first hit a crisis (size and duration unknown) that forces a deal). As we discuss below, however, a deal is expected, at least one that keeps things calm through early November. President Obama insists on it. The big worry is that Europe’s fourth largest economy might ultimately not accept the EU bailout, or do so only after other unintended damage is done. Although it probably will, Spain and the EU’s ongoing game of chicken risks crashing markets because market may anticipate that Spain won’t yield until the situation reaches crisis levels and Spain is at risk of default. The EU for more austerity measures to cut its deficit. Without these, there will be no EU aid, which Spain must have to avoid insolvency for both the government and its banking system. Thus far austerity measures have only made things worse for the GIIPS, but austerity remains the price for further aid. Popular and Political Opposition: Spain’s voters have seen nothing but suffering from the past 3 rounds of austerity in 9 months, and fear of another one has brought unrest and opposition that could bring new elections. Meanwhile, Spanish leaders fear not only the wrath of voters, but also the scrutiny of Troika auditors, who are likely to find untold amounts of hidden debt in Spain’s notoriously cooked books. Thus, in theory, there remains a real chance that Spain and the EU might not reach a bailout deal before markets start to dive on fear of a Spain default. It’s not clear how this will end, at least on a superficial level. On the one hand, there’s no question that Spain needs the bailout. The ECB is the only real buyer for its bonds, and unless Spain cooperates, the ECB could simply stop buying them and consign Spain to default. The EU’s biggest ally may well be Spanish depositors, who continue to withdraw funds from Spanish banks and keep up pressure for a deal before Spain’s banks are bled dry by their own depositors. On the other, the default of the EU’s 4th largest economy could crash the EU and probably global markets as well, so the EU cannot simply dictate terms, because at some point Spain can credibly threaten to drag the world down with it. If you want proof of how much the EU wants to avoid any default risk that could spark a contagion of sovereign and bank insolvencies, look how the EU has yet to enforce bailout commitments with Greece. If Europe can’t accept the consequences of a Greek default, how much more so it fears a much larger Spanish default. Indeed, according to Reuters, two German magazines have reported that despite its noncompliance with prior aid agreements and lack of progress in making reforms, Greece will in fact get the next tranche of 31 bln euros before the next Eurogroup finance ministers meeting on October 8th. Per one anonymous senior EU official, the fear of a domino effect in the EZ is too great to not release the funds. However, if you accept this reason, then the bailouts must keep coming indefinitely, and the agreements on which they’re based are unenforceable. It’s hard to see the funding nations accepting this situation of being obligated to endless bailouts and money printing. So what’s really happening? As I wrote last week, sometimes the biggest market mover is that which prevents what would have been dramatic events from happening. On the surface, the EU’s reluctance to get tough with Greece is surprising. Its default is not considered a fatal risk, and so it makes sense that the EU set an example with Greece in order to encourage compliance from the rest of the bailout bunch. Otherwise, EU credibility is shot with both debtor nations and, more dangerously, global financial markets. If the EU can’t enforce reform agreements, how can it survive? The EU is creating a classic moral hazard by tolerating Greece’s non-compliance. So why does the EU risk moral hazard and let Greece flout EU agreements? The only good explanation for this behavior is the one I gave in last week’s post, JUST 2 THINGS REALLY MATTER THIS WEEK-BOTH FROM WASHINGTON: that the Obama administration has kindly requested that the EU maintain quiet until after the US elections. A crisis and market plunge could be fatal for Obama’s reelection chances. The big take away point is that for all the EU drama, Europe’s leadership will do its utmost to see that none of it gets serious enough to rattle markets until after early November. This theory explains the EU’s indulgence of Greek failures better than anything else. More importantly, it also suggests the rest of the GIIPS, including Spain and Italy, will get what’s needed to keep markets calm. So even Europhobes like me can be a bit calmer in the coming weeks. Granted, that could get expensive for the EU, though its leadership seems to think the investment is worthwhile. The implied payoff is that a grateful reelected President Obama will graciously volunteer US taxpayers to help continue funding the failing currency union. If secessionists in the Catalonia region take control (a possibility), we could see a standoff with the central government that also paralyzes Spain’s ability to close a bailout deal. The other big market mover was speculation about and the announcement of a new $28.5 bln China stimulus program. As usual, markets ignored the fundamentally bad news that China must resort to stimulus, and instead investors bid risk assets higher in anticipation of a short term rally. The PBoC became the 4th major central bank in four weeks to announce new liquidity injections. While the prior three from the ECB, Fed, and BoJ have yet to even produce a sustained rally, the initial reaction to China’s move was positive. Combined with the Spain budget announcement, the new, relatively modest (QE 2 was $600 bln) China stimulus sparked the first broad based rally in 12 sessions. There were a few other events that briefly moved markets. We expect Washington’s “maintain quiet” to continue to be the big stealth market mover in the coming weeks, as it will keep an otherwise volatile EU situation from scaring markets. So short term traders may use the occasional scary headlines about imminent default s as opportunities for establishing long positions that can be closed when the moment of reckoning is deferred and markets bounce in relief. As for longer term traders and investors…. So what do you do? Where do you run? Where do you hide? It’s not the time to go long risk assets. A combination of slowing global growth and pricey risk asset markets (still pumped up from correctly anticipated stimulus over the past months) suggests that this is not the time to take new long positions in risk asses. But it’s too early to short them, given that key global indices have signaled any technical breakdown, and once stimulus programs get going they could inflate asset prices higher. Gold has momentum, but only another 5% move higher brings it back to all time highs and the QE news driving it is already out. We’d reconsider gold on a breakout past historical highs or a retreat back to multi-month support of 1560. Yields on classic safe havens like AAA bonds are low. The EUR: At best it’s due for a period of money printing that will likely ultimately devalue it. At worst the monetary union has genuine existential threats and could break up. The USD: Also is due for a prolonged period of pressure from unlimited monetary expansion, and also has the coming fiscal cliff issues (likely to be deferred yet again with resulting higher US debt and money printing – 2 long term factors eroding the USD’s value). There’s no shortage of speculation and free advice online about what markets may do in the coming weeks and beyond. So I’ll focus for now on doing what no one else is doing: reminding everyone to avoid the most common, least mentioned investor mistake: failing to hedge their currency risk. Just like any prudent investor diversifies their holdings by sector and asset class, they must also diversify their currency exposure to avoid the likely loss of purchasing power to come from what’s becoming unlimited money printing. With most leading central banks either actively expanding their money supply or preparing to do so, they are likely to end up devaluing their respective currencies. So the need for this is obvious for anyone whose wealth is mostly denominated in the USD, EUR, or JPY, the three most widely held currencies (as well as for those based in currencies of export based economies that may devalue their currencies in order to keep their exports competitive. While forex markets may seem like the obvious address, the usual forex trading methods are often too risky and demanding for most people. Much of the mainstream financial media rejects forex altogether for this reason. So on one hand everyone needs to diversify currency exposure, but on the other the most commonly known forex trading methods aren’t right for most people. Per CFTC reports, about 70% of traders aren’t profitable. It doesn’t have to be that way. 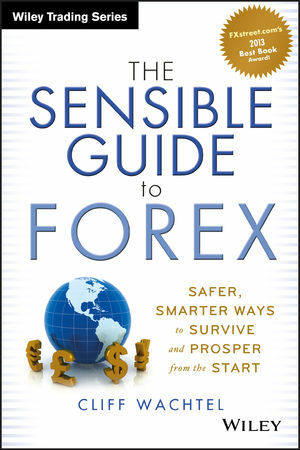 Forex is far too valuable a baby to toss out with the bathwater based on the wrong information and methods. Fortunately, whether you’re a trader or long term investor with no interest in trading, there are numerous safer, simpler ways to get this must-have diversification without excessive risk or time commitments. See here for details on the only forex book written for mainstream investors and risk averse traders, and here for more info on a free course based on the book. Here’s one brief example of a relatively simple, low risk approach for those not even interested in trading currencies. If you have cash you don’t need in the coming years, seek solid Canadian, Australian, and Norwegian dividend paying stocks. They’ll provide not only steady income but do so in currencies likely to hold their value or appreciate versus most other major currencies. Unlike other nations with solid balance sheets (like Switzerland) they aren’t actively trying to drive their currencies lower. I get into this topic in greater depth in the book. Of course plenty of advisors recommend foreign dividend stocks. However few ever consider the critical currency component, which can turn a winner into a loser or vice versa.